Hello Kre8tors! Welcome back to the Paper Pumpkin Pop Up Blog Hop! This month we are popping up because there is something spectacularly spooky here! The September ’18 Kit, Frights & Delights! This special edition kit is perfect for the Halloween season! It came with three adorable little goodie bags and tags that allowed us a vessel to fill yummy treats and pass around. Check out my previous post and coordinating YouTube video for when I made these adorable bundles of sweet goodness! The little bags were way too adorable, and I wanted to save as much of the materials as I could to make them all! But that didn’t stop me from making two fabulous alternate CARDS to share with you today! Two different styles, one is more “vintage-antique-shabby-chic” and the other is “bright-and-fun”! Which style is your favorite? Don’t forget to check out my tutorial video below to see how these cards came together. Click on the NEXT button to hop over to Candy’s blog where she is going to show you her delicious project! Click the image below to check out my YouTube video tutorial! Did you know that RIGHT NOW new Paper Pumpkin subscribers can get their first kit for only $5?!?! WHOA! This is unheard of! It’s the best deal I have seen since Paper Pumpkin started! You’re definitely going to want to jump in on this. Not only do you get a box of creativity and supplies delivered to your mailbox each month, but you have SO many resources for alternate projects and other ideas on ways to use the supplies in your kit. You have nothing to lose and craft supplies to gain by giving it a try! If you already have a demonstrator, be sure to ask them how you can get your kit for only $5 this month! 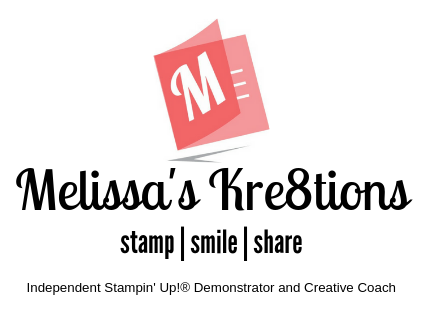 If you don’t have a demonstrator, I’d love to help you out! Just click on my Paper Pumpkin link and sign up using the code FLASH1018. This promotion will start on October 8, and run through October 10, or until supplies run out! There’s a limited number of kits available, so make sure you sign up quick!